The lifestyle team here at L.E.R. PR is pleased to see PlantShed featured on UrbanDaddy.com. 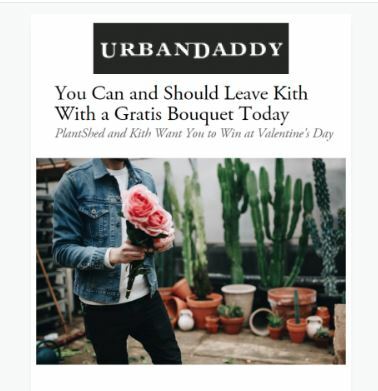 PlantShed was featured in an editorial called “You Can and Should Leave Kith With a Gratis Bouquet Today,” which highlighted the collaboration for Valentines Day at the KITH store.